School mascot logos inlaid into the tabletops. Mobile folding tables in the middle of the room provide flexibility. 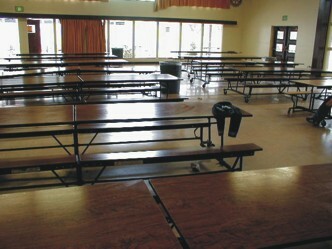 Before: A large dark room with institutional dark walnut tables. This is NOT a very attractive cafeteria. 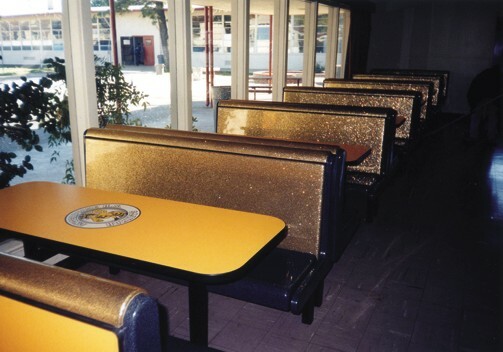 After: Colorful booths with the hornet logo inlaid on the tabletops, and a metalflake glitter finish to brighten up the room.